The International Coalition to Stop Crimes against Humanity in North Korea urges South Korean government to include human rights issues in North Korea talks. · Undertaking immediate steps to address allegations about poor conditions and abuses in detention centers and prisons, including by opening all government detention centers, reeducation and forced labor camps, jails, and prisons to visits by international observers, and taking steps to release any detainees held for activities that should not, under international law, be criminalized, such as exercising freedom of speech and religion, attempting to leave or leaving the country without permission. · Engaging with and responding to recommendations and opinions from the UN Human Rights Council and the Commission of Inquiry on the situation of human rights in the DPRK and engaging with the UN special rapporteur on the situation of human rights in the DPRK, including facilitating a country visit by him and other relevant UN rapporteurs. · Continuing to engage with UN human rights mechanisms, including the upcoming UPR and under the Convention for the Rights of Persons with Disabilities; accepting UN recommendations and implementing changes on the ground; and signing and ratifying key human rights treaties, including International Labor Organization conventions and the Convention against Torture. · Establish a regular inter-Korean human rights dialogue and ensure that it is principled, follows clear benchmarks, and is accountable. Such meetings should be followed by public briefings about their content and agreements on next steps, which should include follow up meetings at the highest levels of each government. · Allow further inter-Korean information and personal exchanges and promote freedom of information and movement. · Agree on mutual free and uncensored television and radio broadcasts across the peninsula. One proposed first step could be negotiating for mutual broadcast of ROK national television channel KBS and the DPRK’s KCTV. · Continue to urge the DPRK to agree to regular reunion meetings of separated families, expanding its scope to any South Korean national with relatives in the DPRK, and allow regular exchanges of letters or phone calls and visits between them, at least on humanitarian grounds. Such meetings should not be held hostage to developments on security matters or inter-Korea relations. 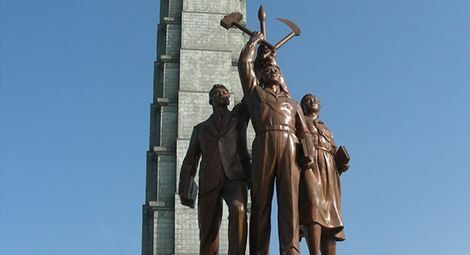 · Press North Korea to respect the right of every person to leave any country, including his/her own, and to return to her/his country, including by granting exit visas to all persons who hold or have held South Korean or other foreign nationality and their family members who wish to leave North Korea for South Korea or other countries. The International Committee of the Red Cross should be asked to independently assess each individual's wishes in private interviews. · Urge the DPRK to engage in broader exchange on the issue of abductions and to commit seriously to investigate and respond to the allegations made against it. · Allow South Korean nationals to identify and collect the remains of deceased family members held by North Korea and vice versa. · Lift existing legal restrictions on inter-Korean people-to-people contact in North and South Korea. · Provide necessary humanitarian aid and urge the DPRK government to accept international or domestic humanitarian aid, with proper monitoring consistent with international standards of transparency and accountability. These standards include access throughout the country to determine needs and the ability to visit places where food and other aid is delivered.